Have you been counting down the days until The Amazing Spider-Man hits the big screen? Well, as you know, the wait is over, so it’s time to unleash your inner Spidey and get ready for what’s expected to be one of the biggest blockbusters of the summer. 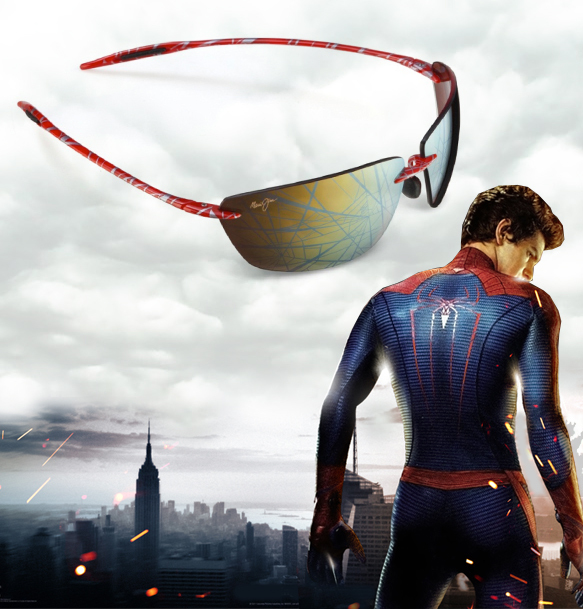 To get you into the spirit, we’ve found the official sunglasses for The Amazing Spider-Man, complete with web designed lenses from Maui Jim. The limited edition Kekoa shades will make all of the other fans green with envy, so make sure to get them while they’re still available. You can find them exclusively at Sunglass Hut.